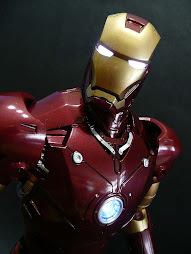 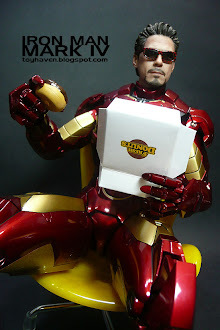 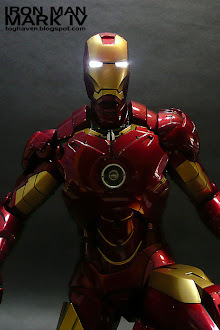 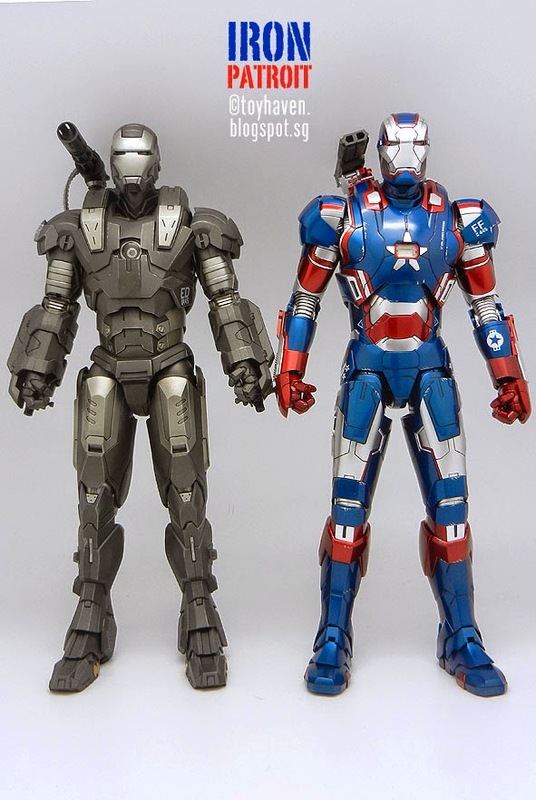 This toy blog post covers comparison pictures of Hot Toys MMS195-D01 Movie Masterpiece Series Die-cast 1/6th scale "Iron Man 3" Iron Patriot 12-inch Collectible Action Figure with the Hot Toys War Machine Mark 1 (version 1.0 - the original from "Iron Man 2") plus pictures taken with the other 1/6 scale James Rhodes (Terrence Howard as Lt. 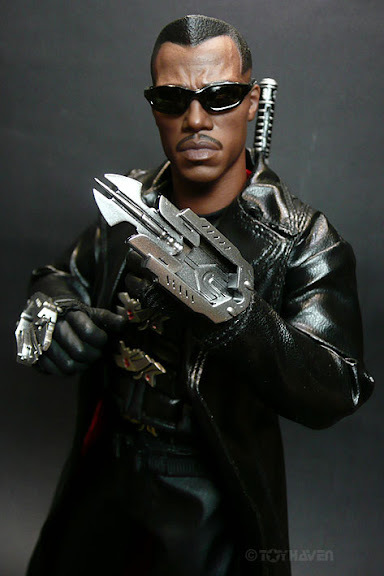 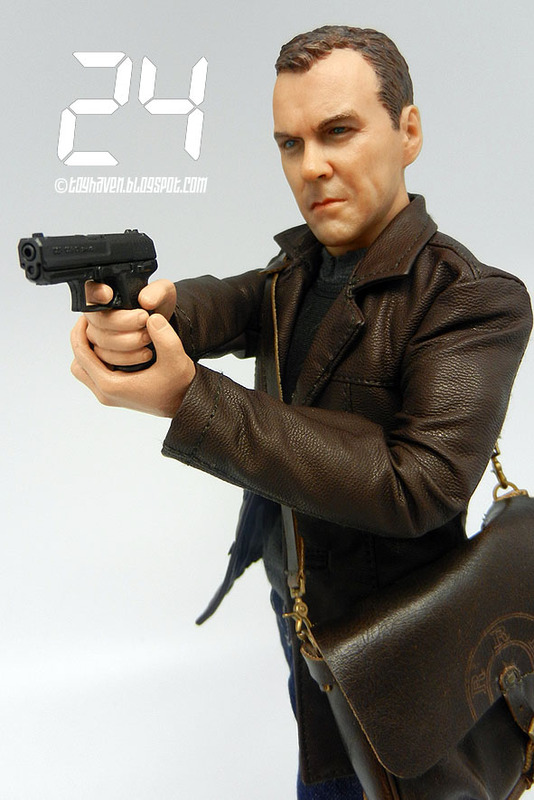 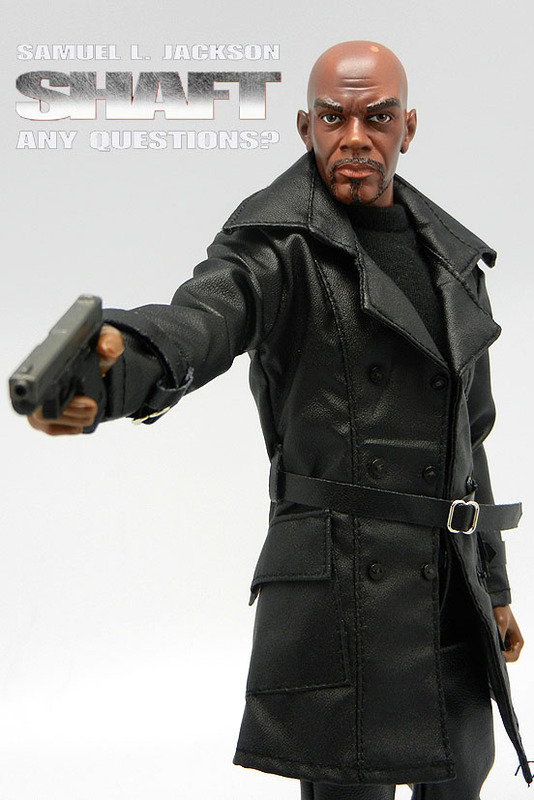 Colonel James "Rhodey" Rhodes as seen in the first Iron Man film). 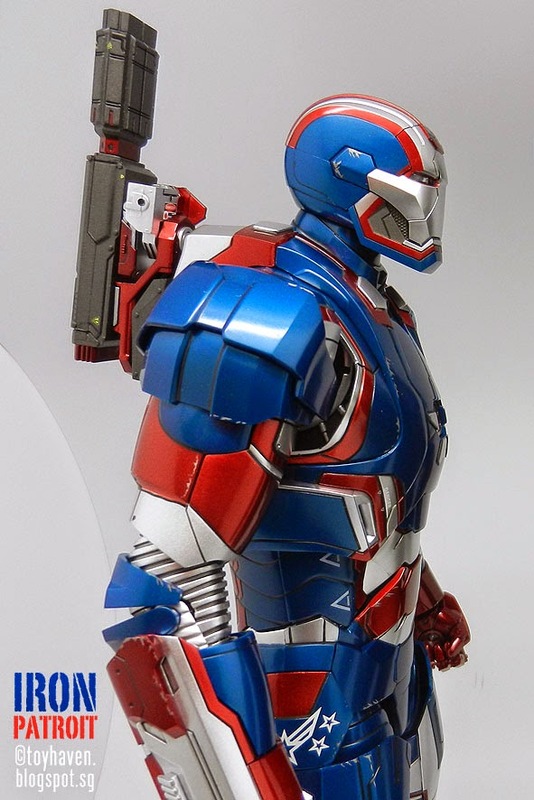 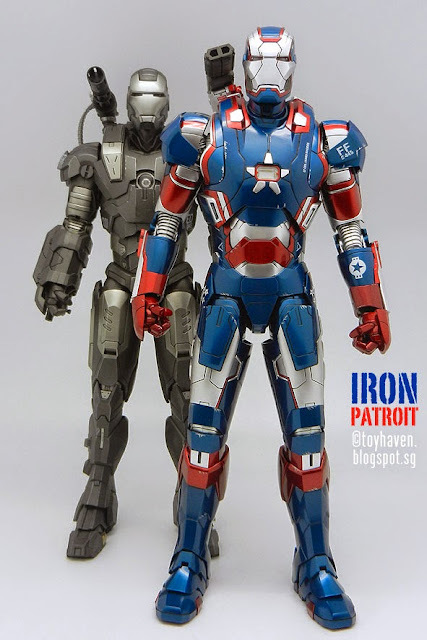 I didn't get War Machine version 2.0 as it is basically a repaint of Iron Patriot in the dull gray colors of the first War Machine. 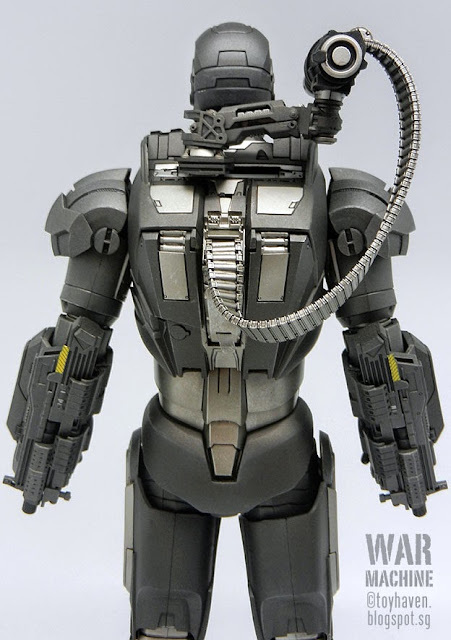 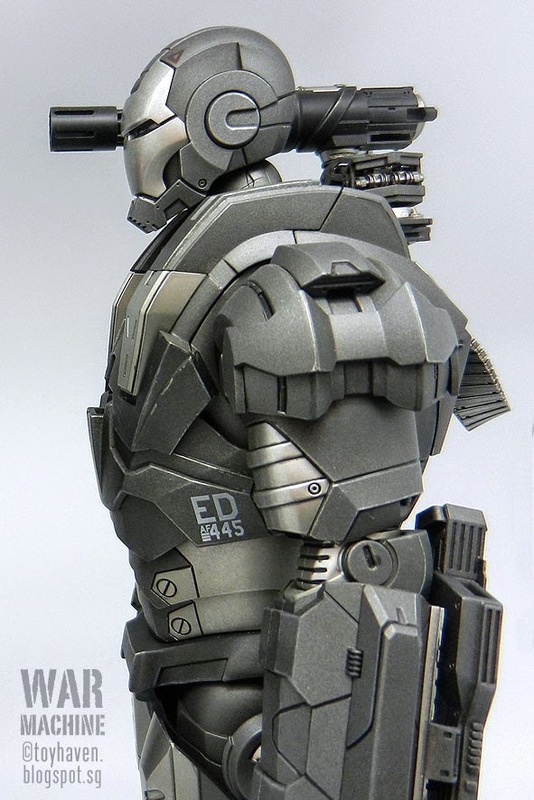 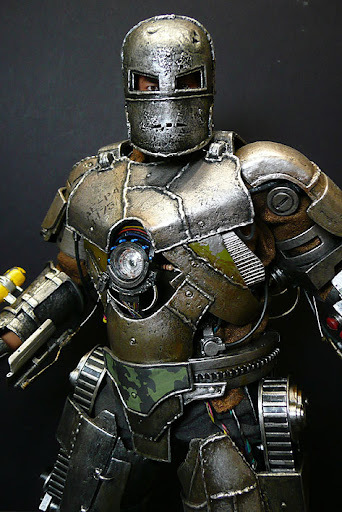 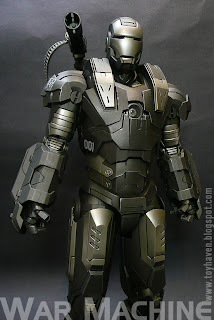 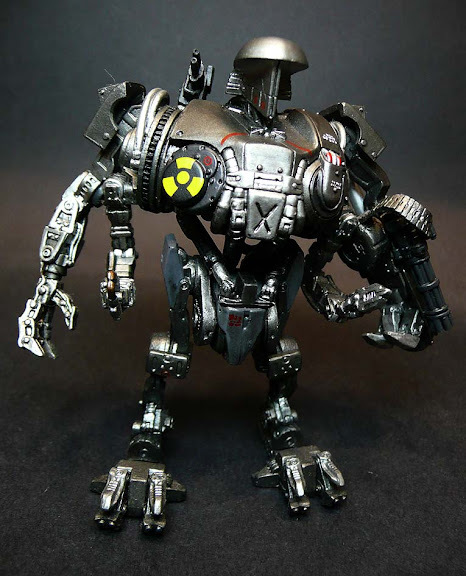 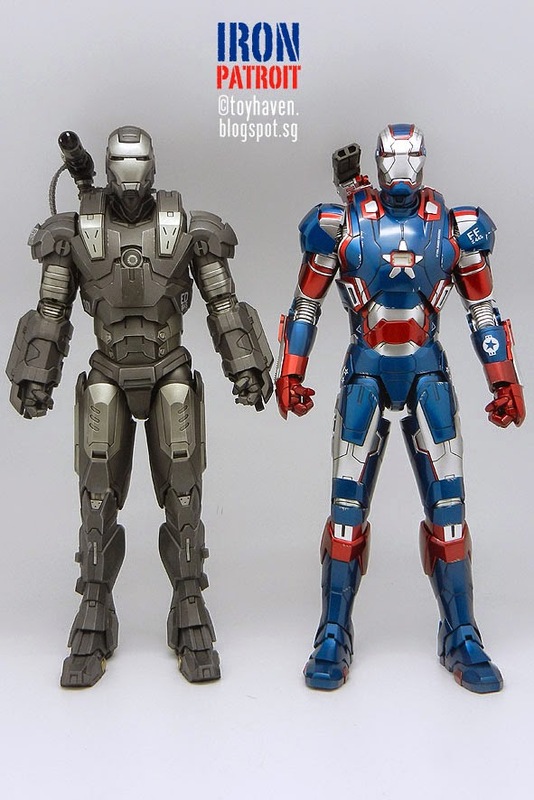 War Machine version 2.0 looks sleeker than the first War Machine figure, the War Machine Mark 1, which was bulkier and built to look like a tank compared to Tony Stark's Iron Man armor suit which was more streamlined. 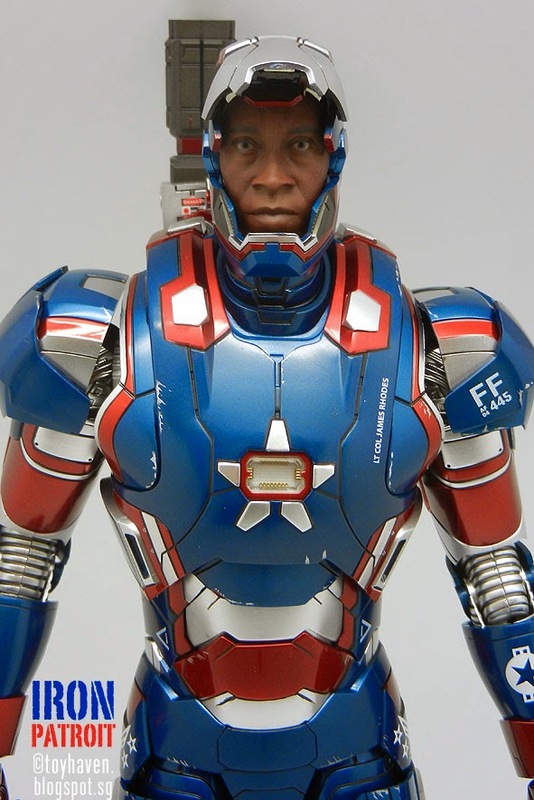 Having already covered Hot Toys 1/6 scale Iron Patriot die-cast collectible figure's packaging and contents HERE, plus light-up features HERE, 1/6 scale head sculpt with authentic likeness of Don Cheadle as James Rhodes / Iron Patriot HERE, doing the salute HERE (including comparison side-by-side pictures with The Avengers Captain America) and testing the pose-ability of the armor suit HERE, I guess this last post with comparison pictures would be most appropriate. 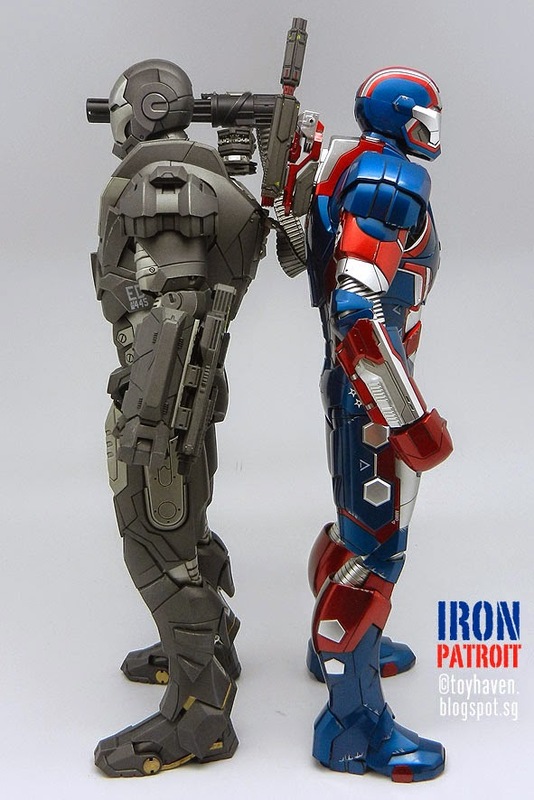 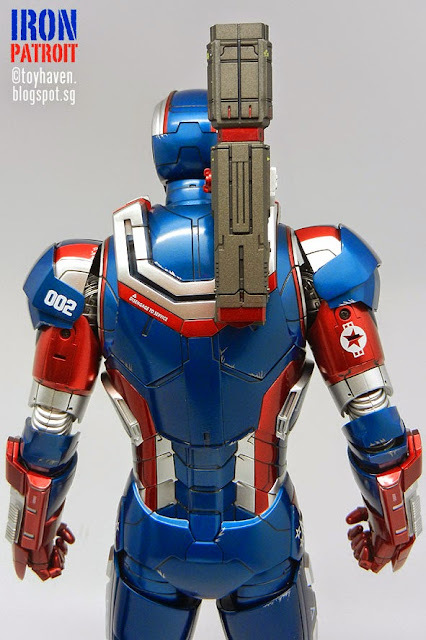 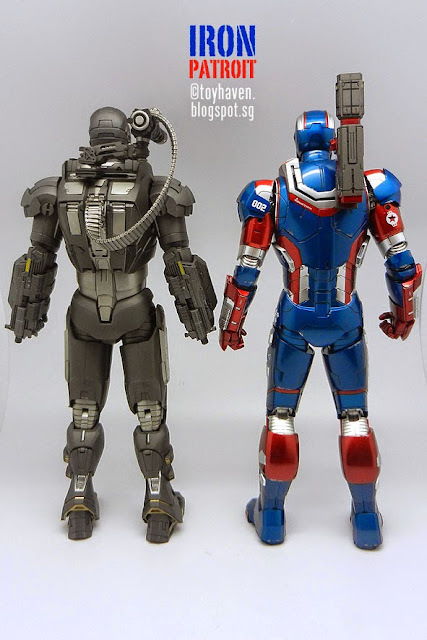 Here are some close-up pictures / shots to show the differences between War Machine Mark 1 and War Machine Mark II / Iron Patriot. 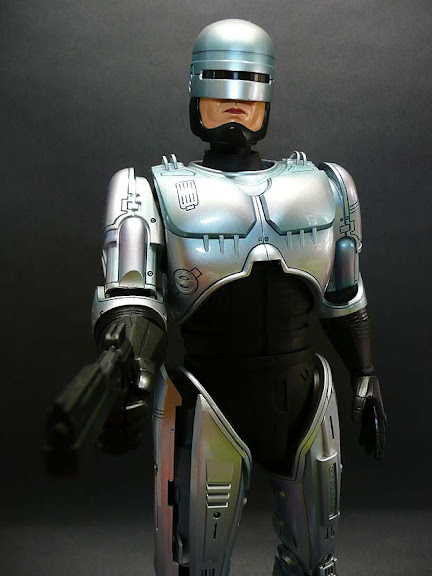 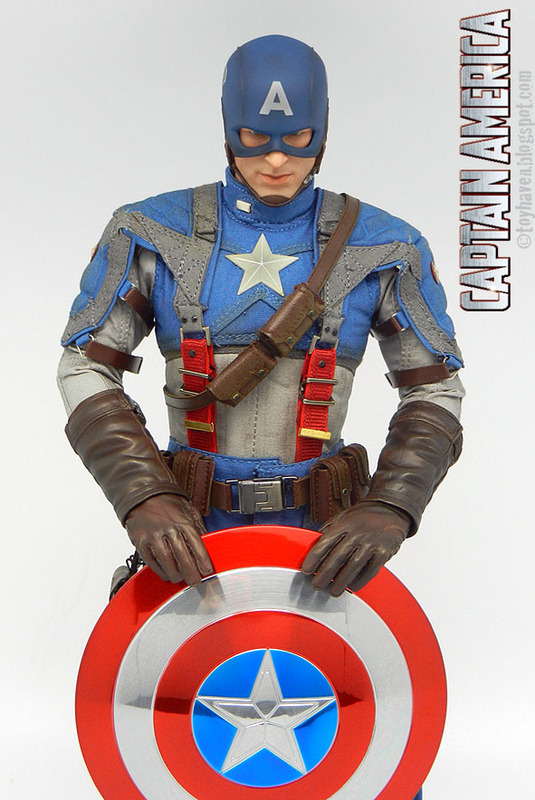 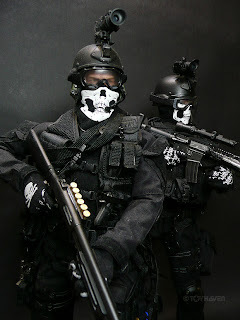 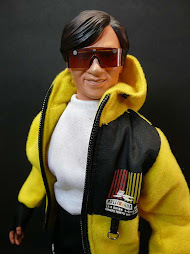 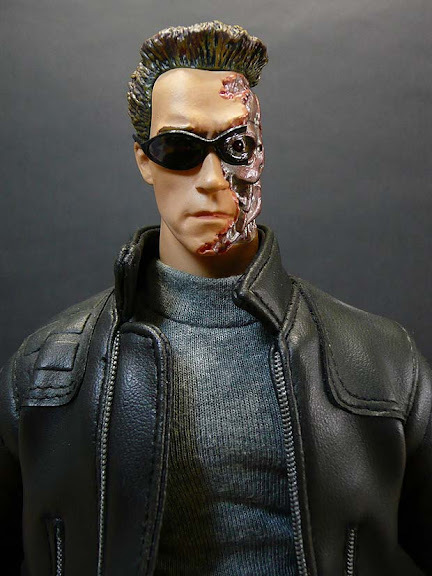 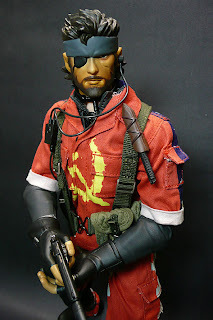 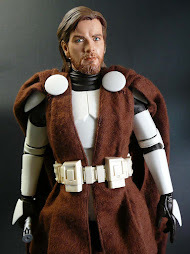 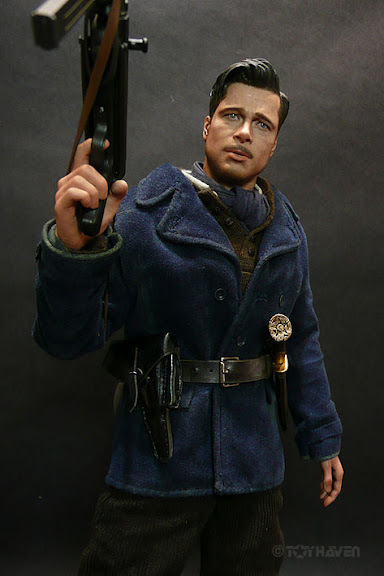 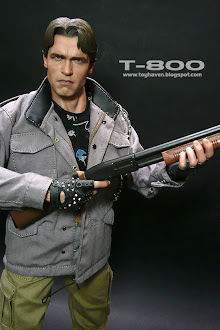 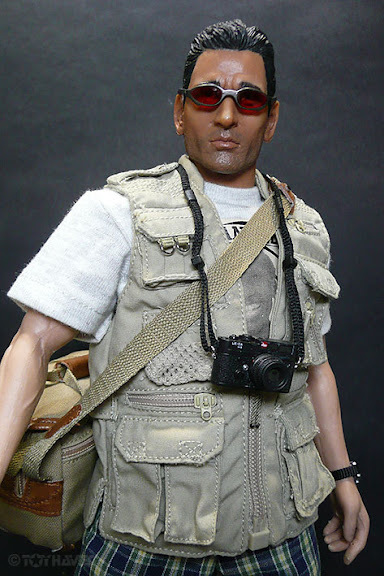 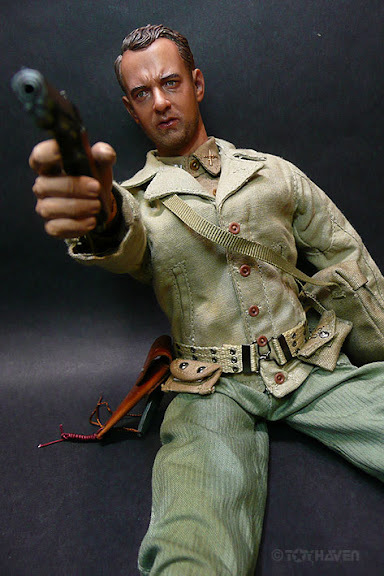 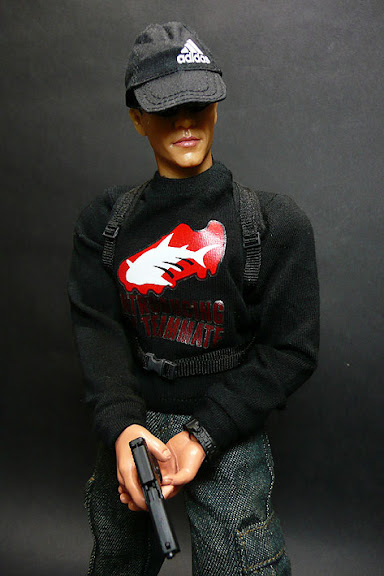 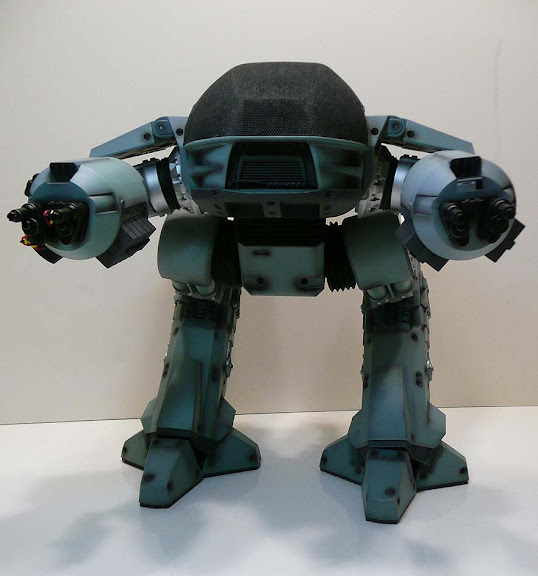 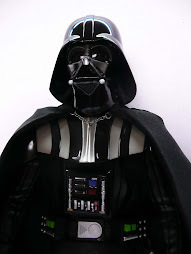 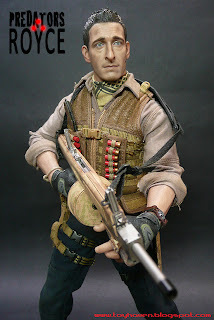 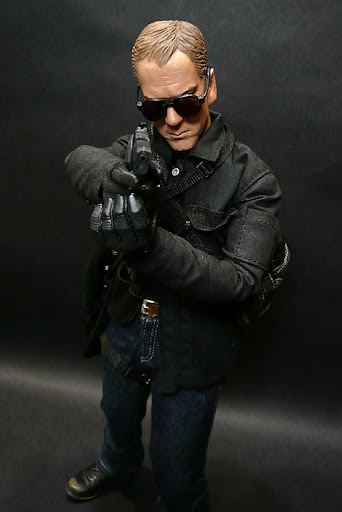 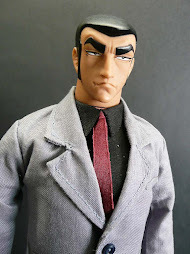 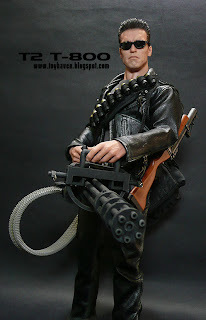 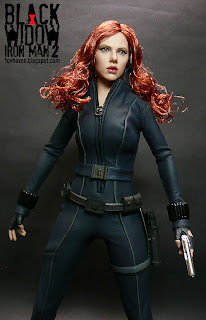 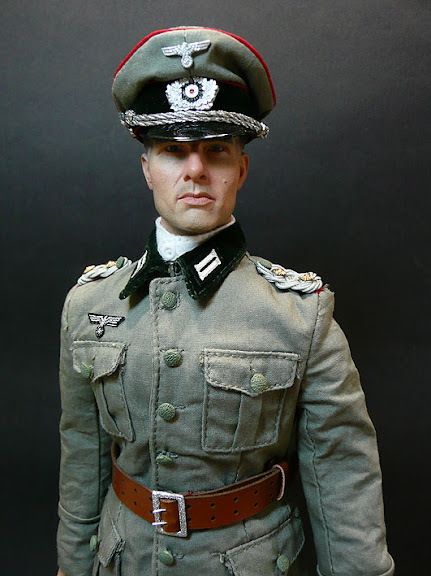 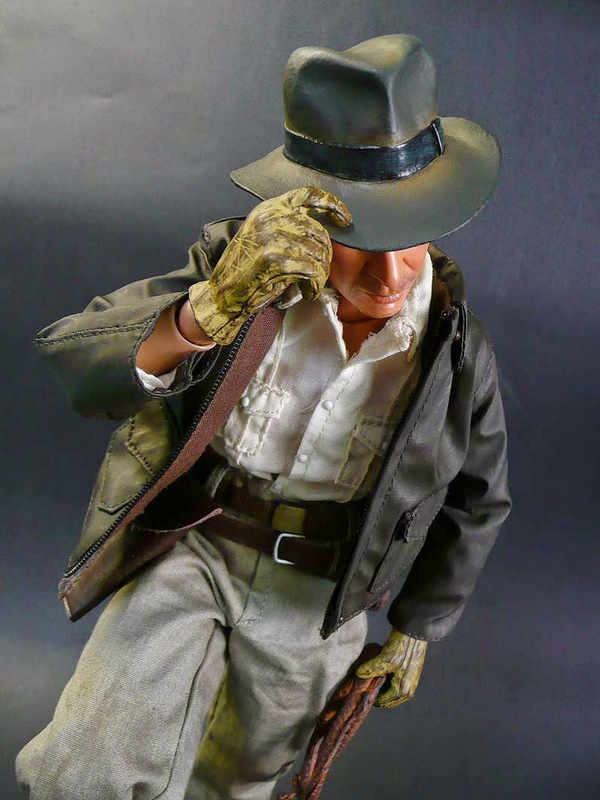 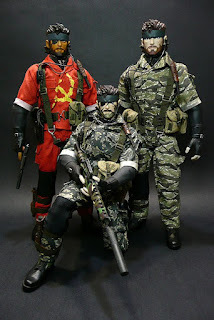 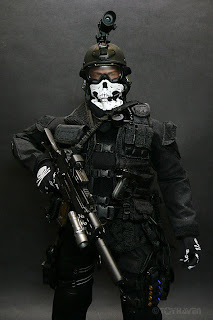 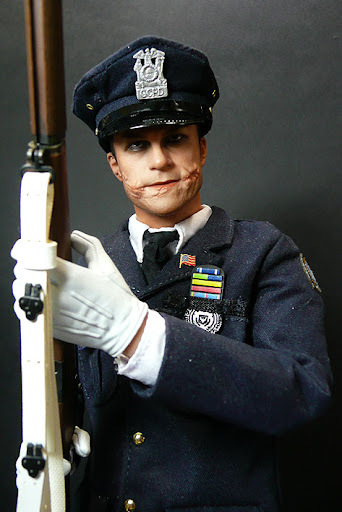 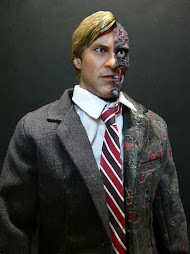 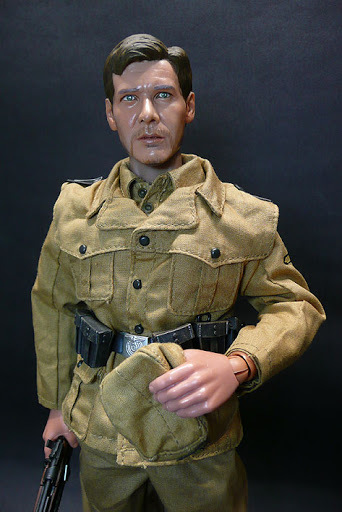 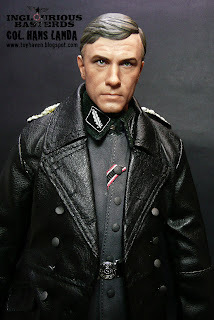 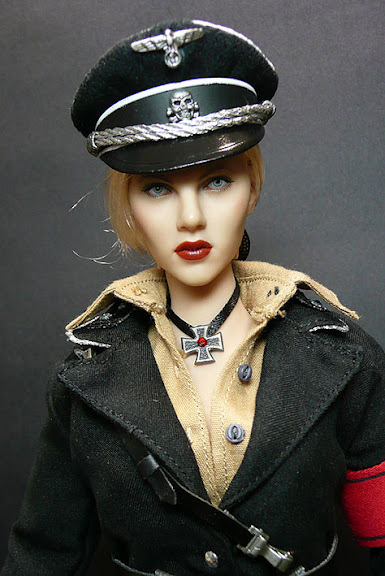 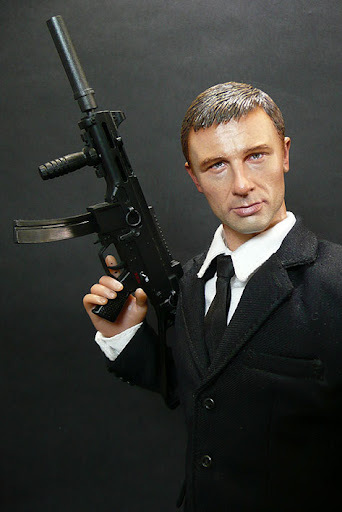 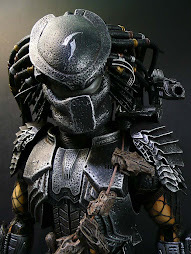 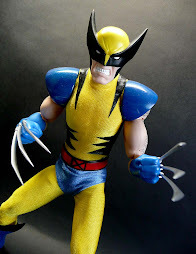 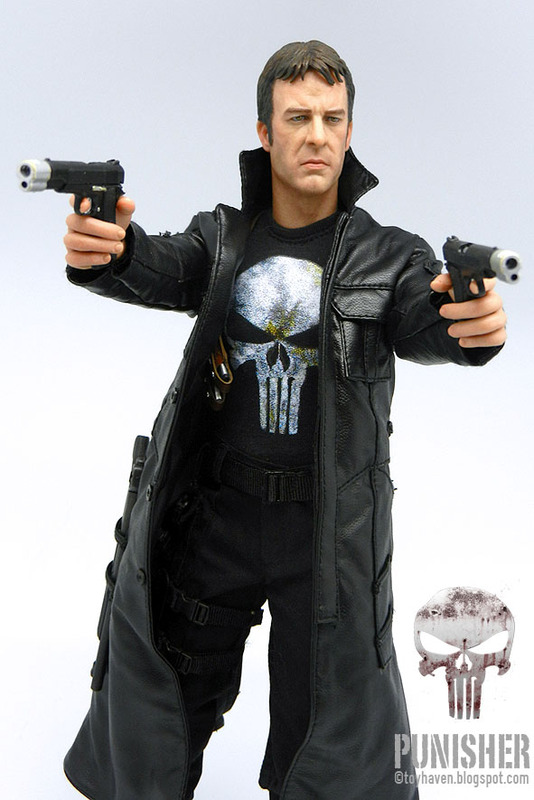 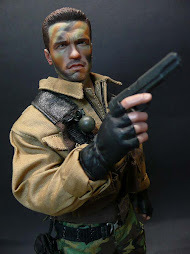 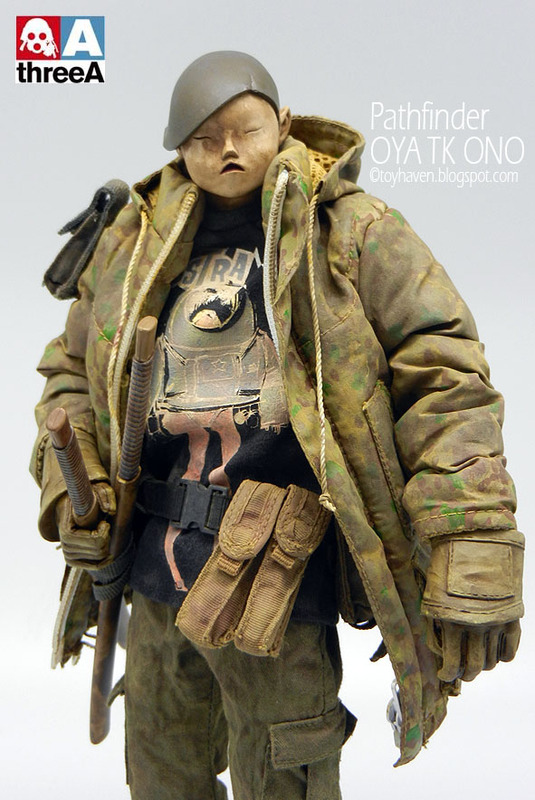 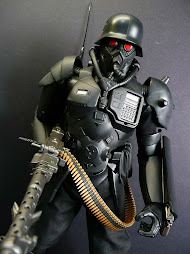 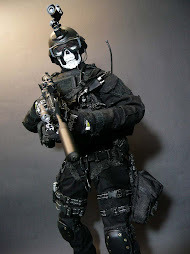 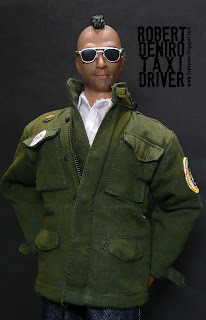 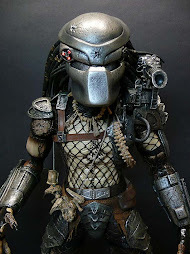 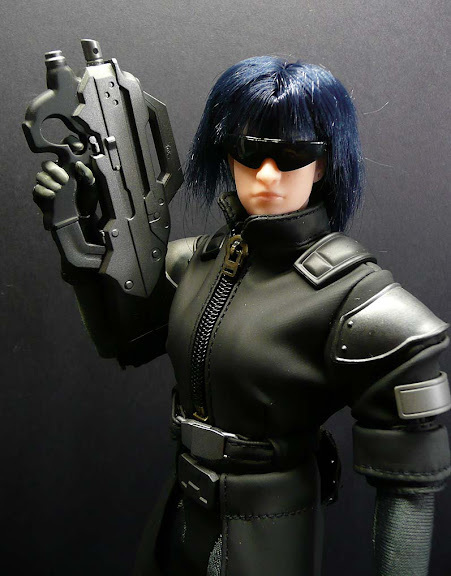 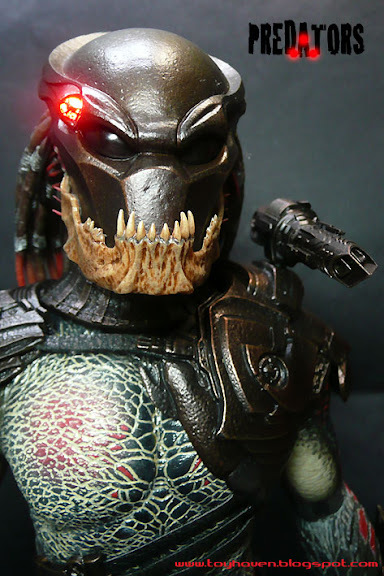 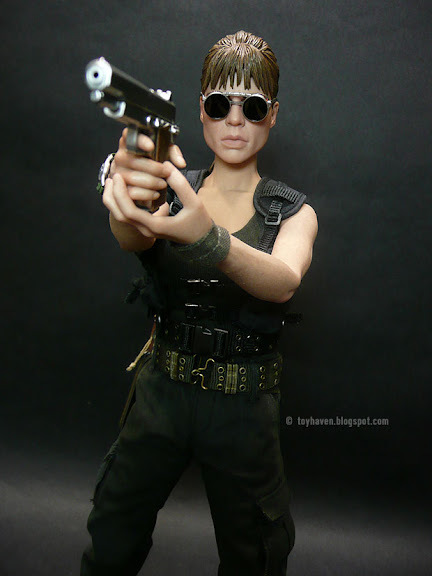 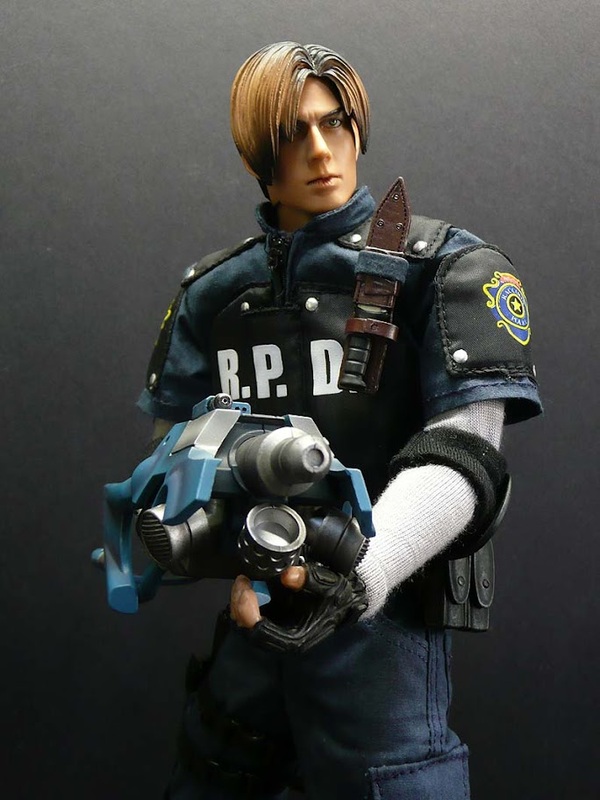 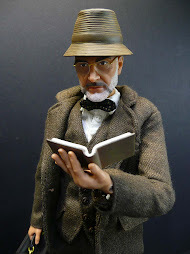 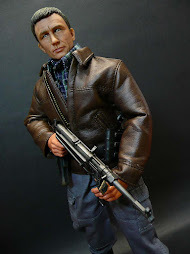 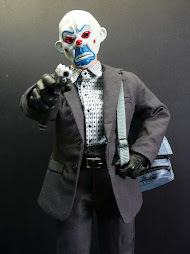 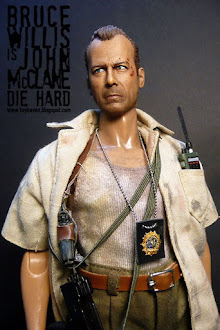 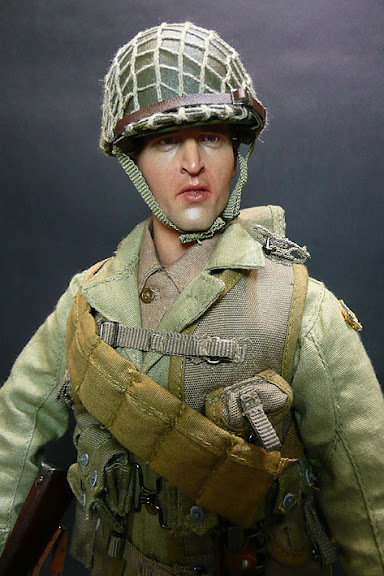 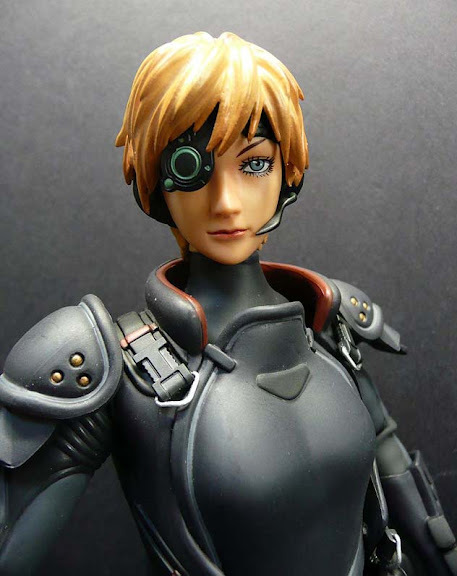 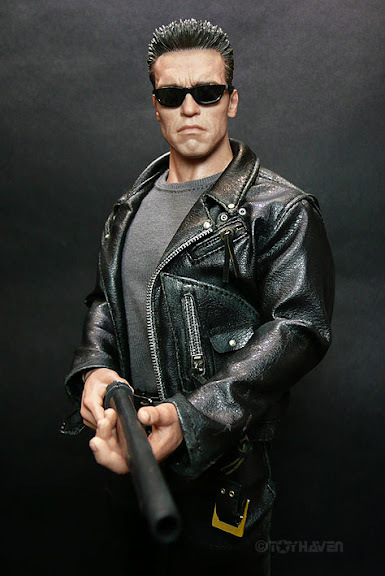 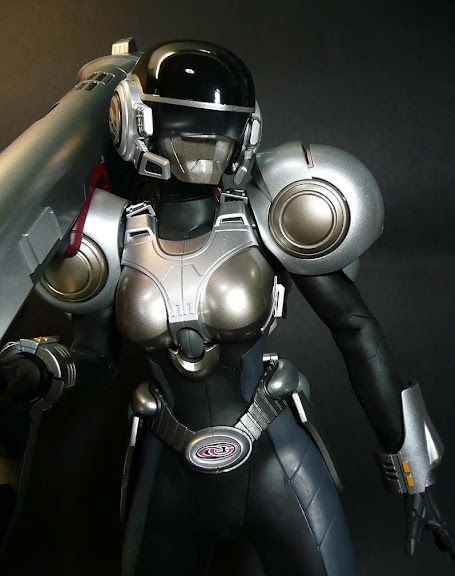 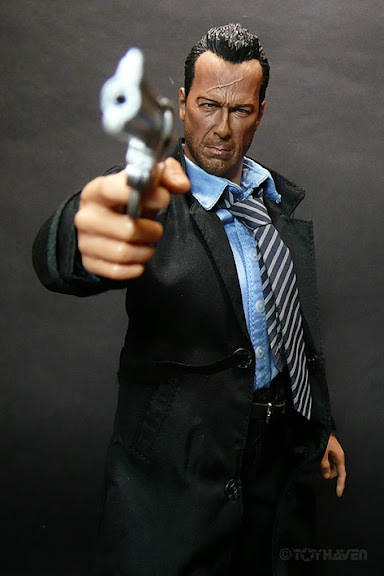 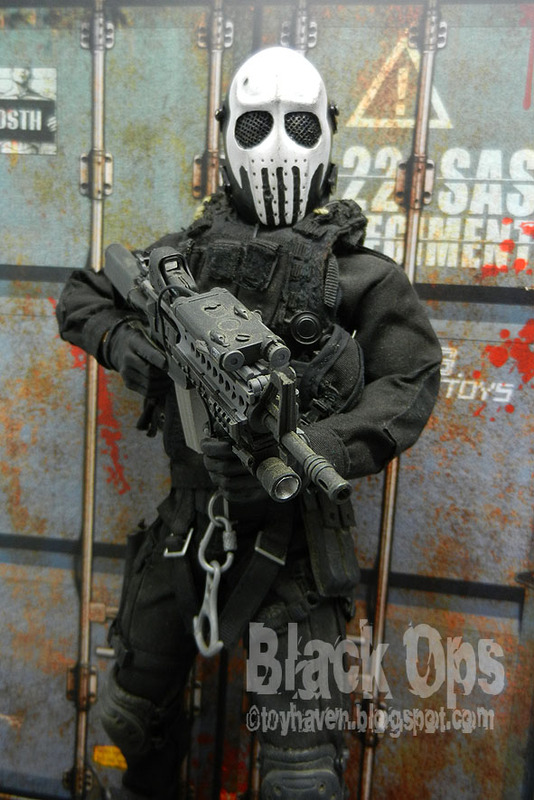 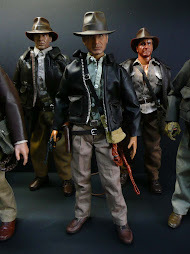 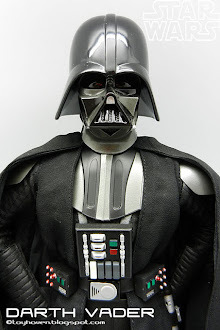 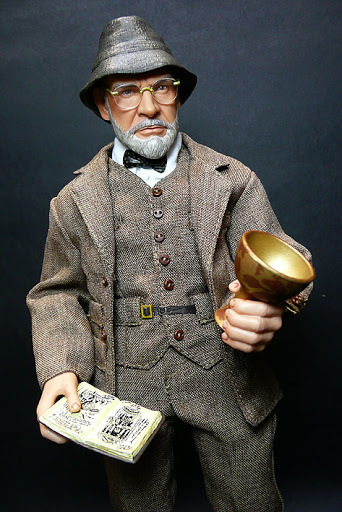 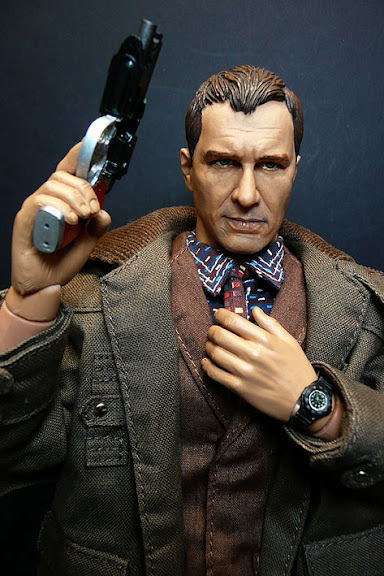 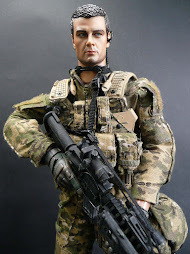 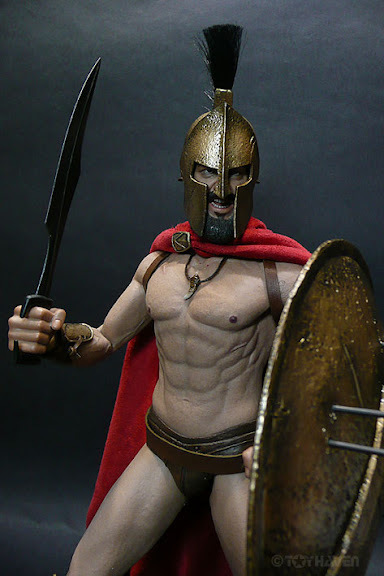 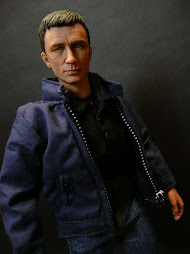 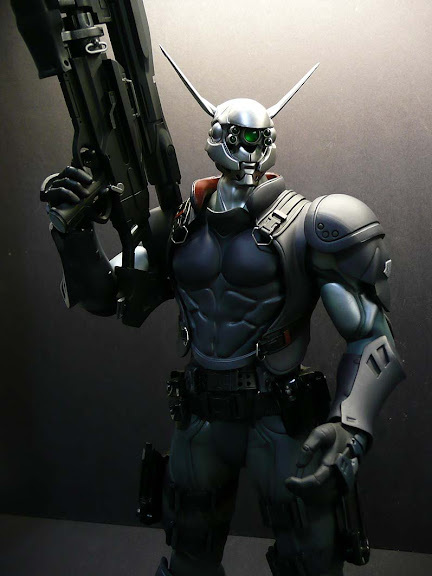 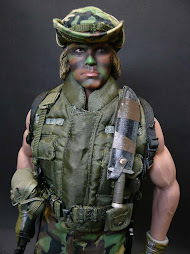 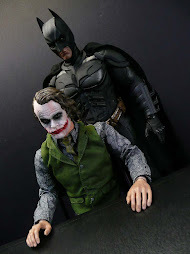 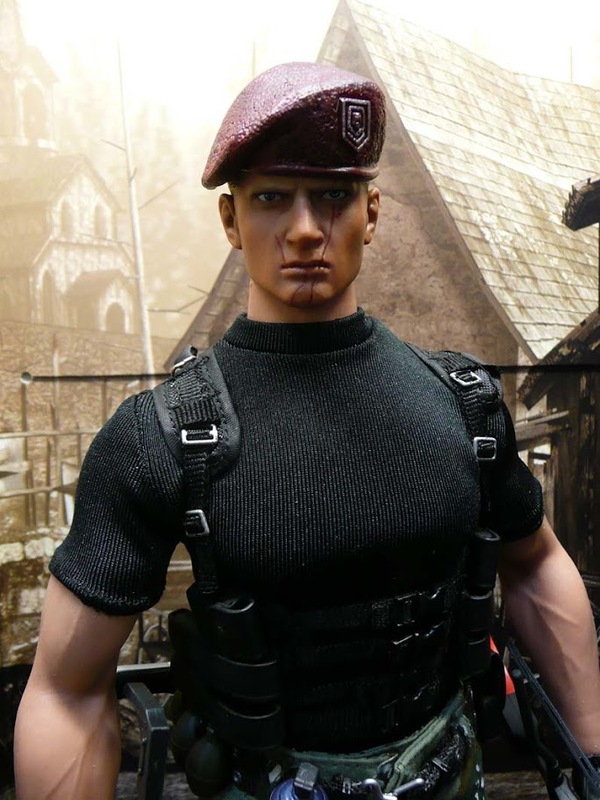 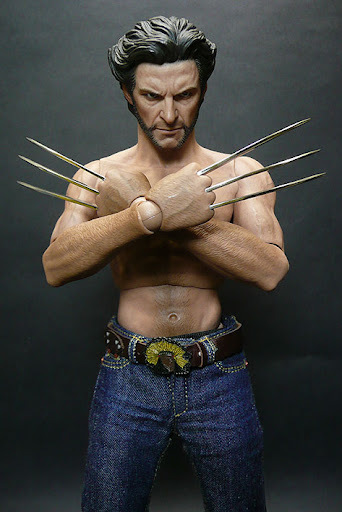 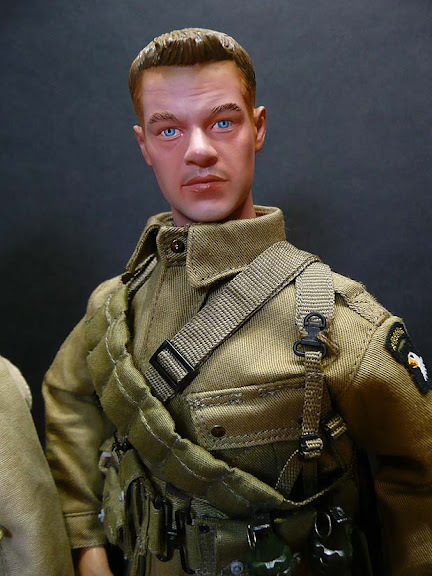 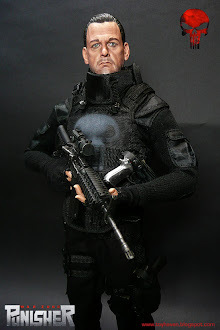 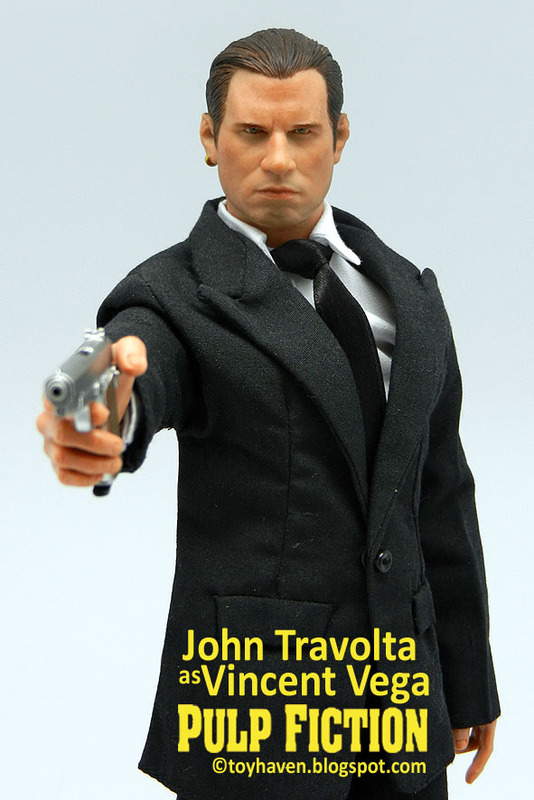 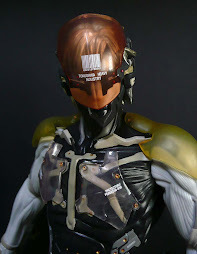 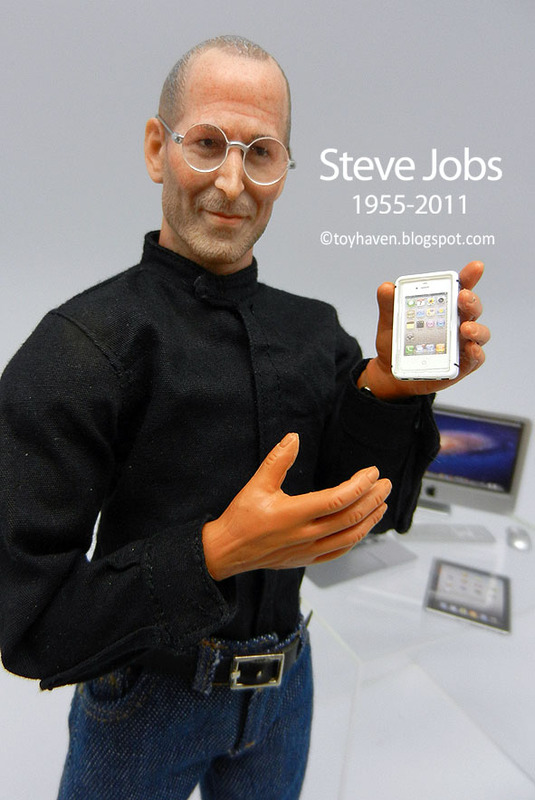 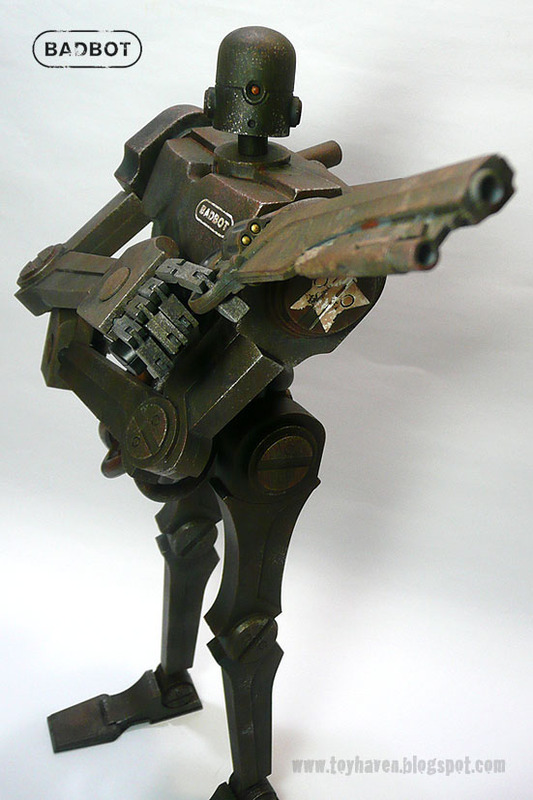 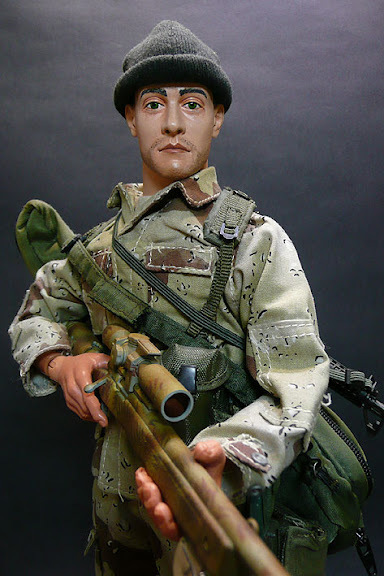 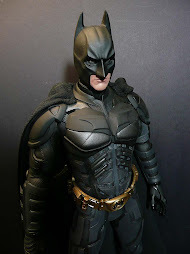 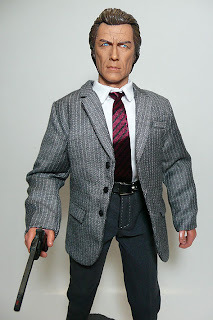 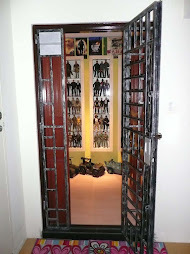 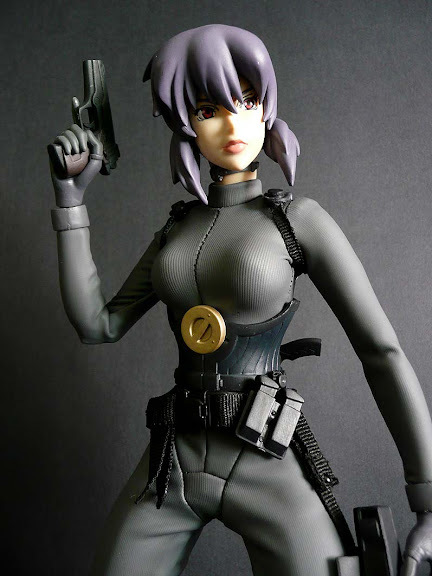 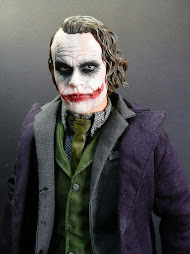 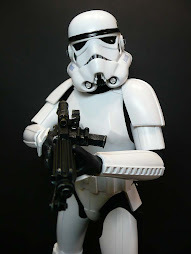 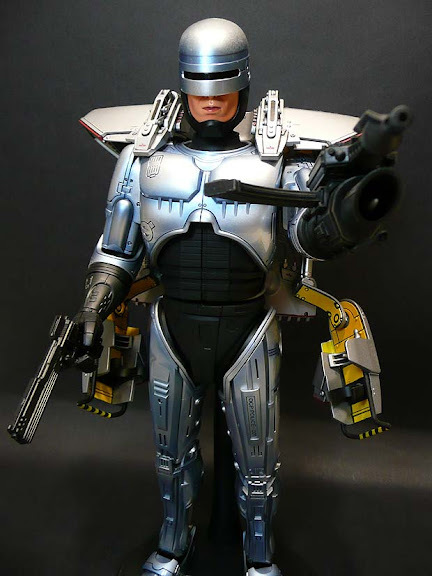 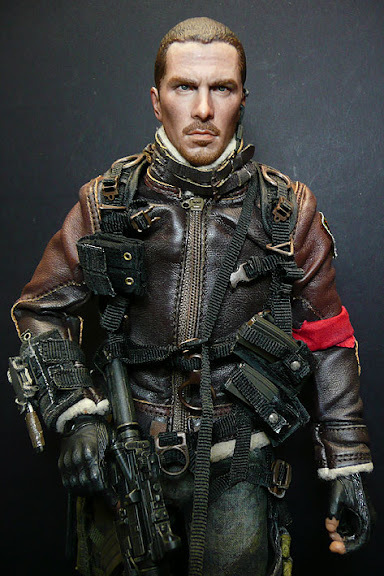 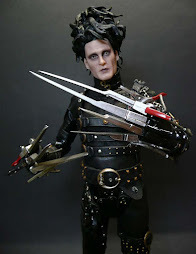 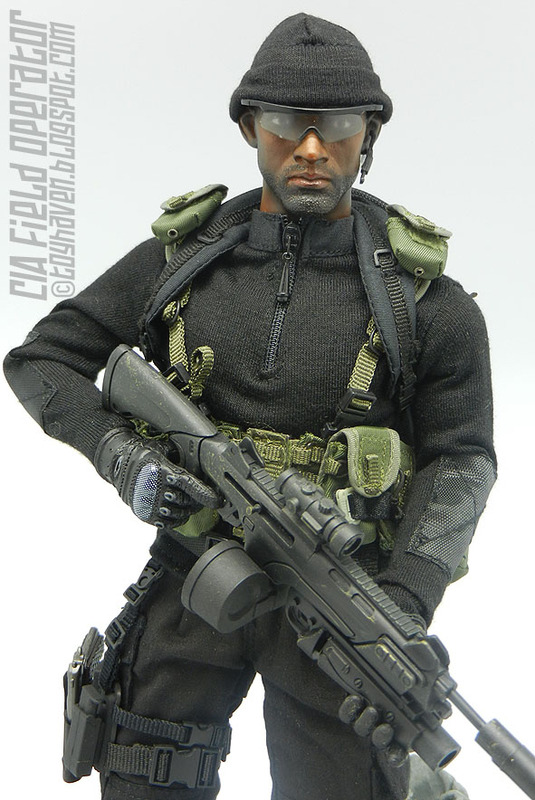 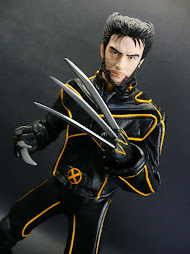 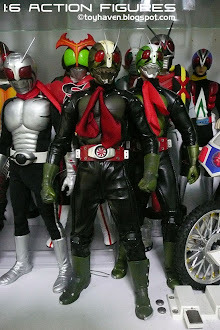 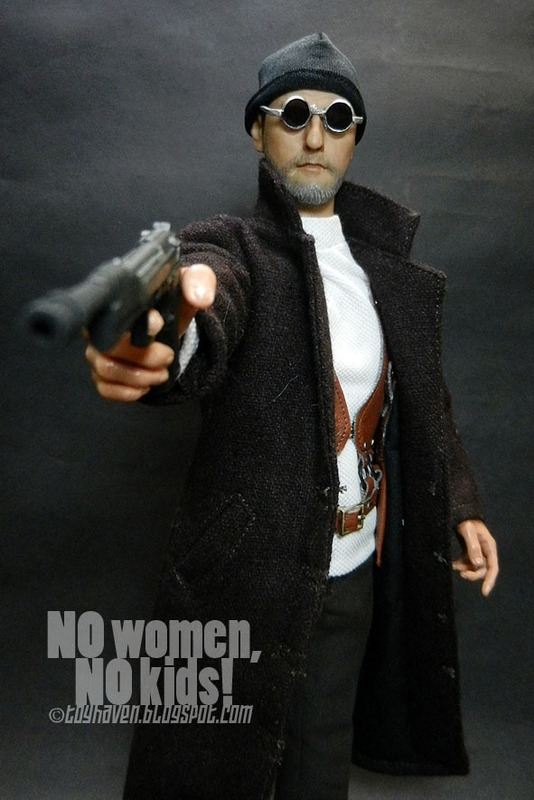 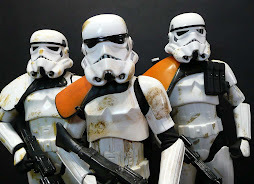 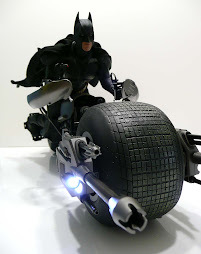 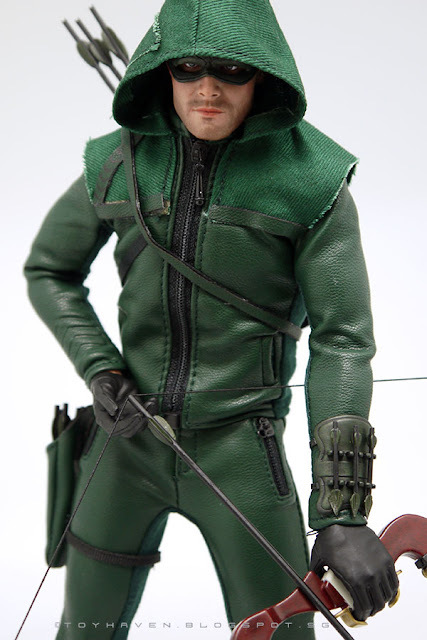 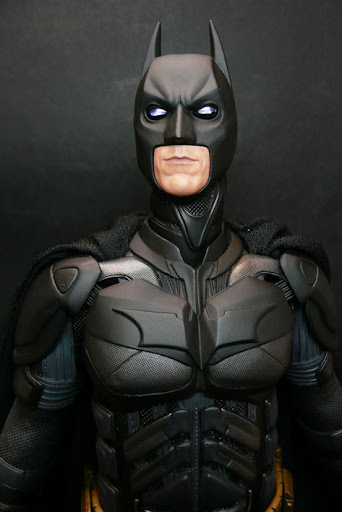 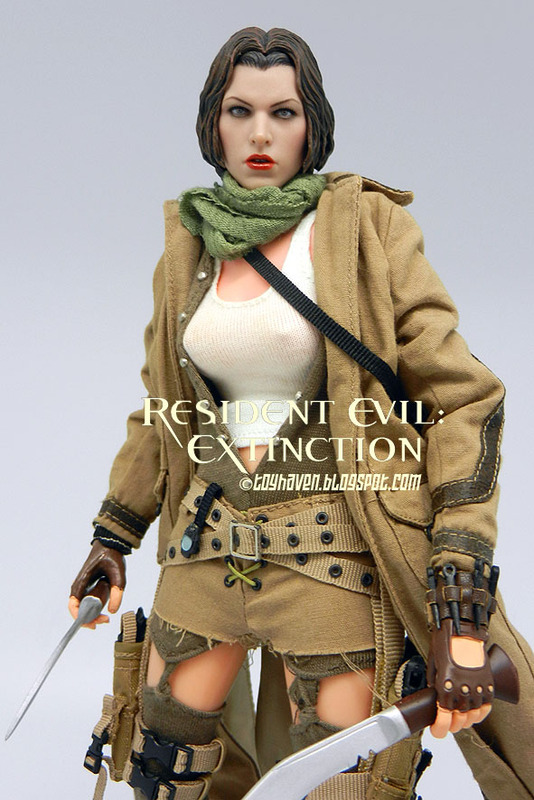 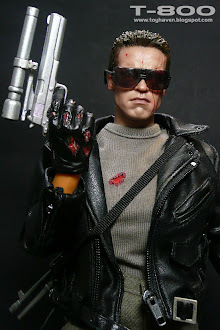 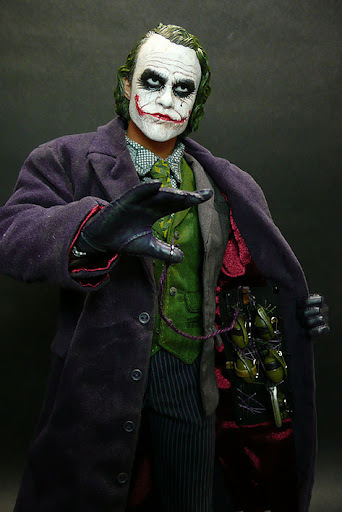 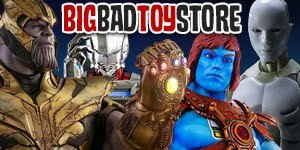 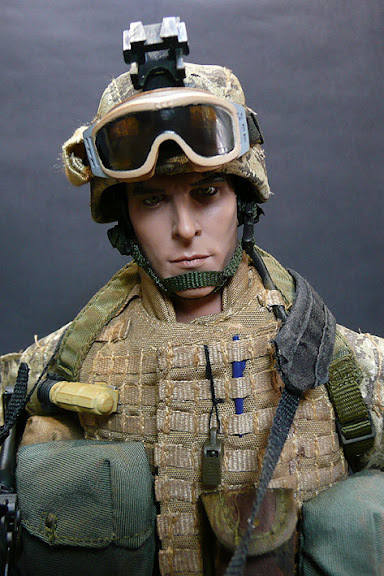 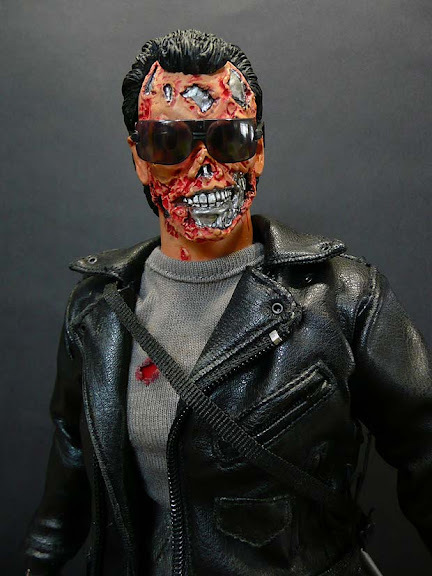 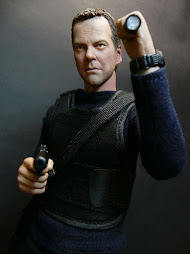 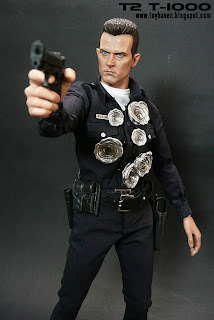 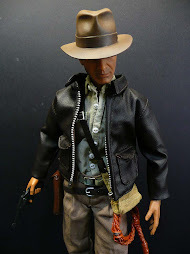 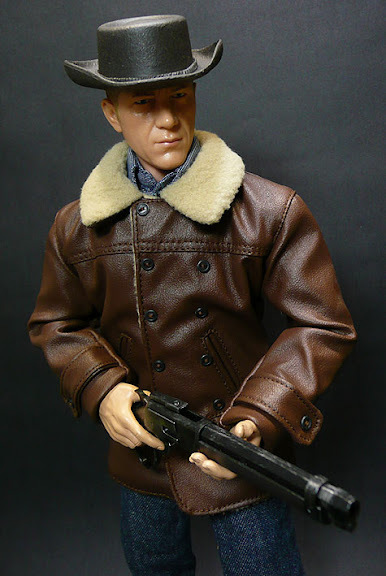 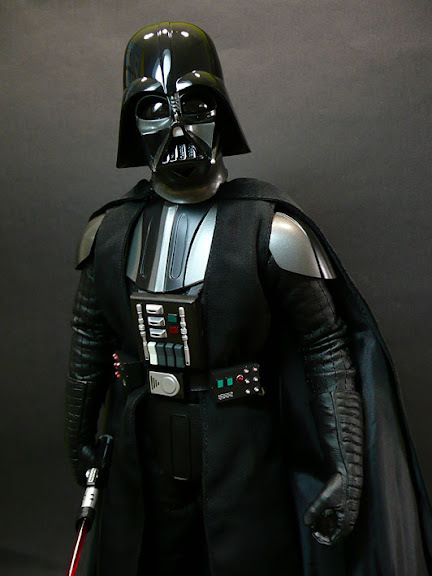 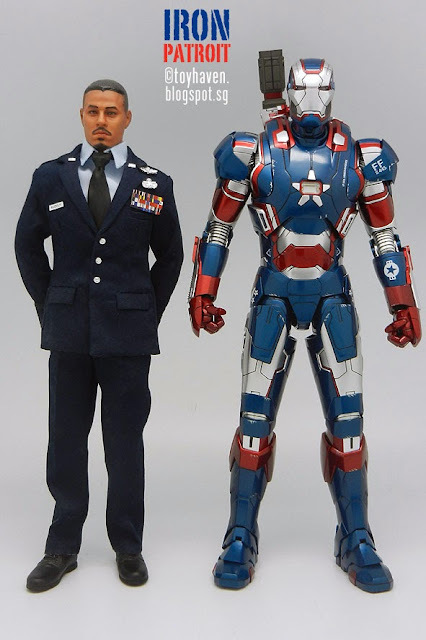 Both 1/6 scale figures are produced and released by Hot Toys, showing off the nice detailing and attention to movie accuracy to bring out the best in 12-inch figures. 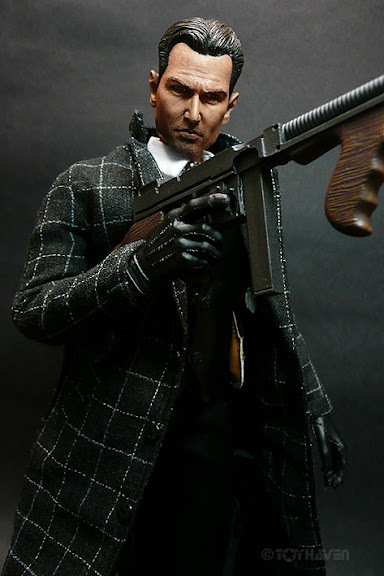 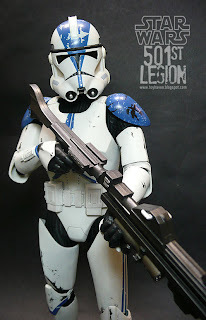 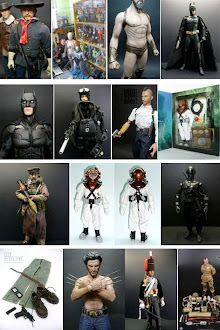 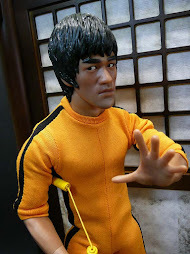 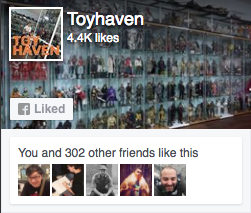 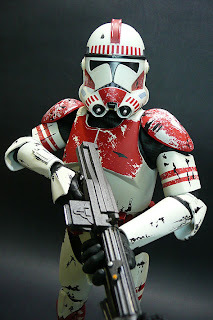 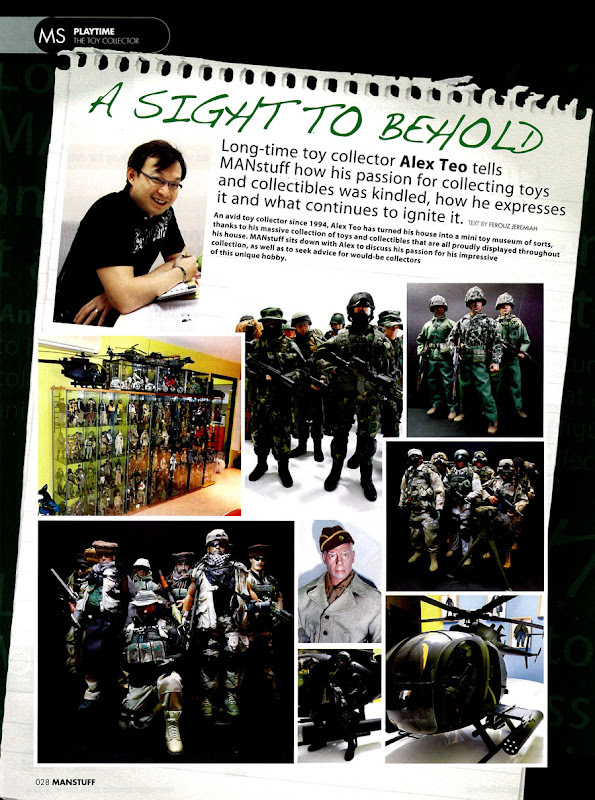 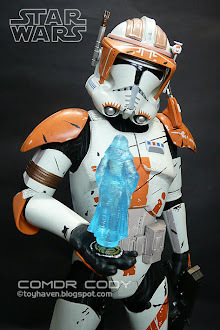 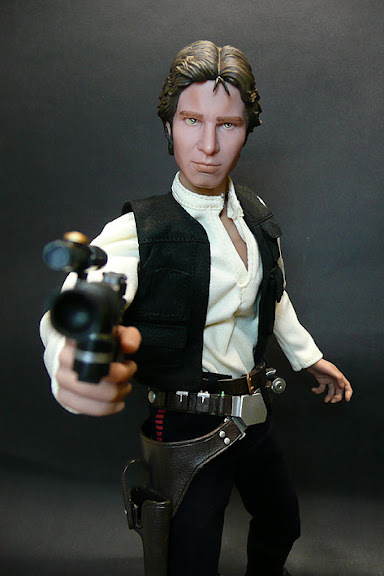 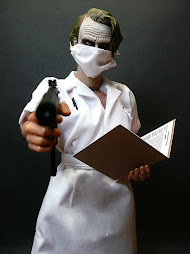 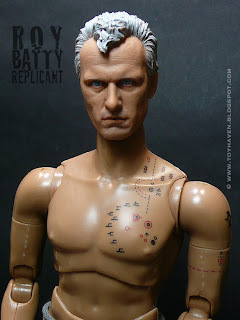 Even though Hot Toys has ventured into 1/4 scale figures, no doubt prompted and pushed by Enterbay Toys to do so in order not to let up in the competition for the collectors' dollars, Hot Toys is still continually showcasing and previewing mostly 1/6 scale figures for which I am glad, because I still much prefer my figures to be 1/6 scale rather than 1/4 scale which is just too big for my liking. Front profile view comparisons between Hot Toys 1/6 scale War Machine Mark 1 and War Machine Mark II / Iron Patriot, showing off the improvement in the head sculpting in the newer release. 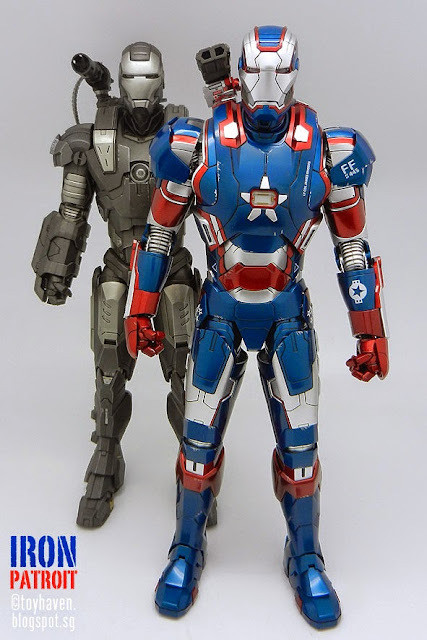 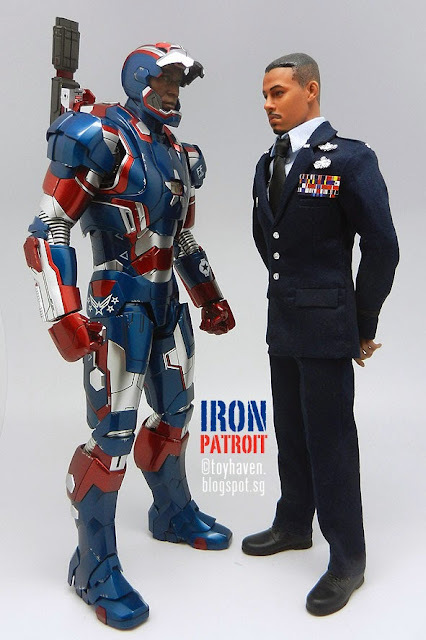 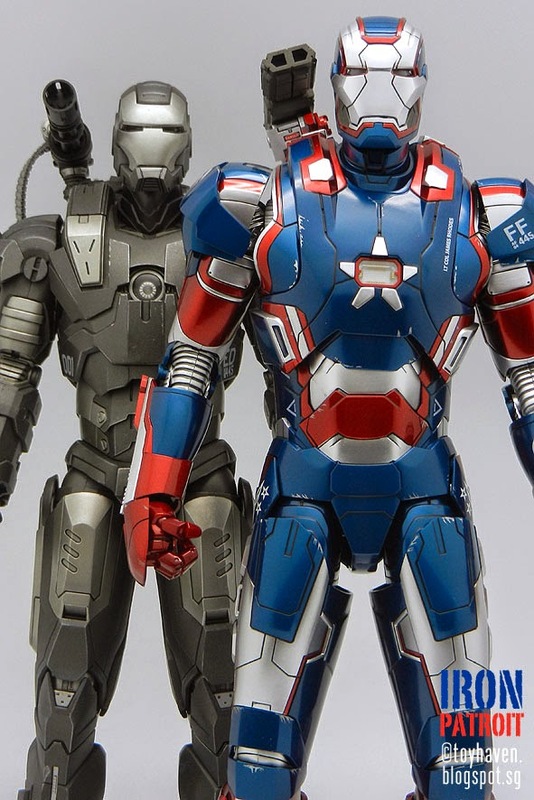 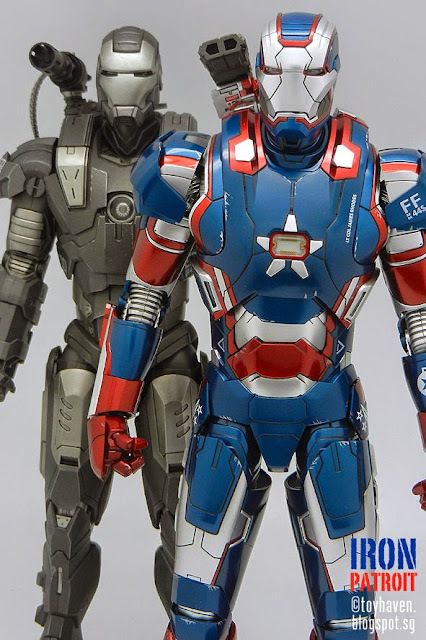 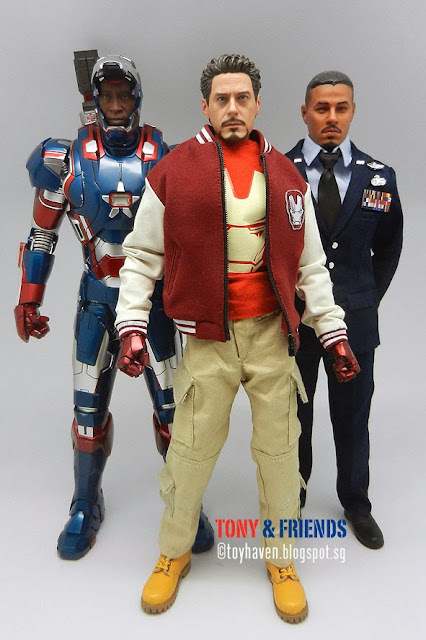 And here's Hot Toys MMS195-D01 Movie Masterpiece Series Die-cast 1/6th scale "Iron Man 3" Iron Patriot 12-inch Collectible Action Figure (Don Cheadle as James Rhodes) standing alongside the other 1/6 scale James Rhodes (Terrence Howard as Lt. 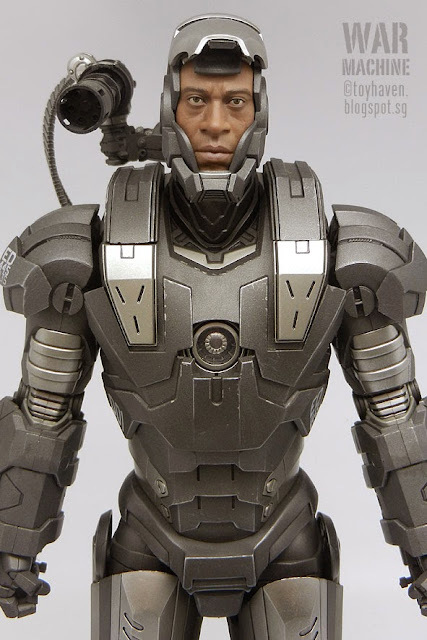 Colonel James "Rhodey" Rhodes as seen in the first Iron Man film).